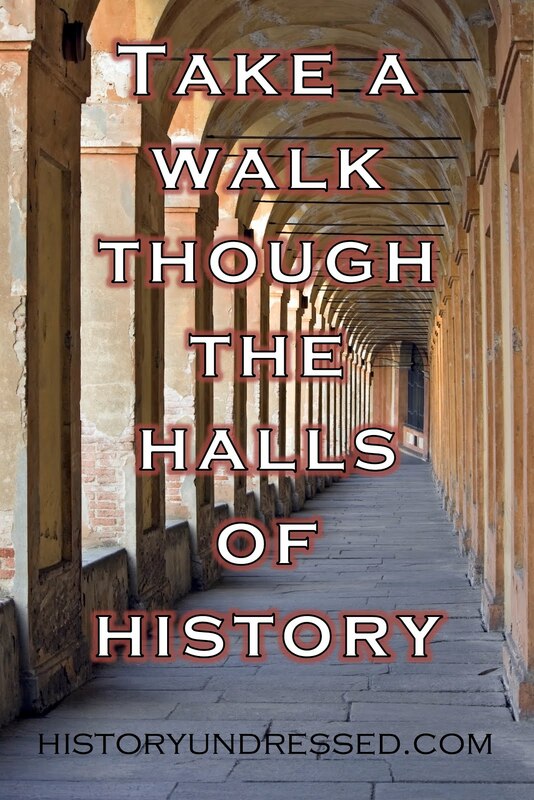 Today, I would like to welcome Susan Higginbotham to History Undressed. 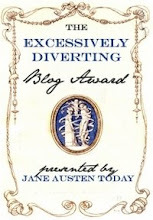 Susan is the award winning author of multiple historical novels, and the blog Medieval Woman. Ms. Higginbotham does an extensive amount of research, and her books take us back to the time and brings the characters she pens about to life. For connoisseurs of coronations, fifteenth-century England was the place to be, for that century saw the crowning of six queen consorts: Joan of Navarre (queen to Henry IV) in 1403, Catherine of Valois (queen to Henry V) in 1421, Margaret of Anjou (queen to Henry VI) in 1445, Elizabeth Woodville (queen to Edward IV) in 1465, Anne Neville (queen to Richard III) in 1483, and Elizabeth of York (queen to Henry VII) in 1487. 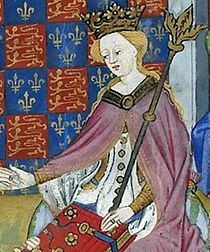 Only Anne Neville was crowned on the same day as her husband the king; thus, on their coronation day, the other five queens had the spotlight to themselves. Fortunately for historians and novelists, many of these coronations, and the pageantry surrounding them, were recorded in detail. 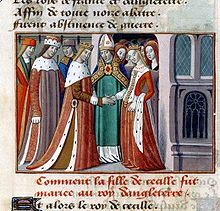 Margaret of Anjou, the heroine of my new novel, The Queen of Last Hopes, was crowned on May 30, 1445, at Westminster Abbey by John Stafford, Archbishop of Canterbury. Having turned fifteen just two months before, she was the youngest of the fifteenth-century queen consorts. The daughter of Rene of Anjou and the niece to King Charles VII of France, Margaret married Henry VI on April 22, 1445, at Titchfield Abbey. Afterward, Margaret made a leisurely journey toward London, during which she was entertained by various lords. On Friday, May 28, 1445, she finally arrived at Blackheath, where she was greeted by the mayor of London, the aldermen, and various commons in "costeous array." Behind Margaret in her splendidly decorated chariot rode chariot after chariot of ladies. Their names are unrecorded, but it's likely that anyone of rank who was present in England had come to London for the festivities. Margaret's destination that Friday, in accordance with custom, was the Tower of London, where Henry VI received her. On her way to the Tower, Margaret was honored with two pageants: one at the Southwark approach to London Bridge, the second upon the bridge itself. Because Margaret's marriage had been made in exchange for a truce with France, the pageants emphasized--rather ironically in hindsight--Margaret's role as peacemaker. The figures of Peace and Plenty were on hand to greet Margaret for the first pageant (where she was also enjoined, equally ironically, to be fruitful and multiply). The second pageant compared Margaret to Noah's dove of peace. Six more pageants were in store for Margaret, many of them also emphasizing Margaret's role as peacemaker. Again in accordance with custom, on Saturday, May 29, Margaret rode from the Tower to Westminster, seated in a litter draped in white cloth of gold which was drawn by two horses likewise decked in white. (Gregory's Chronicle describes the horses' coverings as satin; the Brut has the horses wearing damask powdered with gold.) Margaret herself, according to the Brut, was clad in white damask powdered with gold. Her hair was combed down around her shoulders; upon her head she wore a gold crown with rich pearls and precious stones. (Unlike the chronicler who recorded Elizabeth of York's coronation, who noted for the benefit of future novelists that Elizabeth had "faire yelow Hair," no one was helpful enough to record the color of Margaret's.) The city conduits ran with wine, both white and red, for the people to enjoy. The next day, Sunday, May 30, was Margaret's big day. Unfortunately, a detailed description of her coronation ceremony does not exist, although the one we have for Elizabeth Woodville twenty years later gives us a reasonable idea of what would have taken place. Margaret, followed by a bevy of duchesses, countesses, and other high-ranking ladies, was probably led by bishops and by the Abbot of Westminster into Westminster Abbey, where she knelt before the altar and then prostrated herself. After that, she would have been anointed and crowned. Most likely Henry VI was not visibly present during the coronation, as Edward IV is not mentioned as being at Elizabeth Woodville's coronation, and Henry VII, while able to watch his queen being crowned, was concealed from the sight of the public. Later in 1445, William de la Pole, then the Marquis of Suffolk, was granted the manor of Kettlebaston in return for carrying a scepter of ivory, with a golden dove on its head, at the queen's coronation. Following Margaret's coronation, a great feast was held, followed by three days of jousting. Who jousted is unrecorded, but Richard Woodville, married to Jacquetta, Duchess of Bedford, was a noted jouster of his day and might have well participated in the 1445 festivities. Twenty years later, on May 26, 1465, Richard Woodville’s daughter Elizabeth would be crowned as Edward IV’s queen. Henry VI, who could ill afford the expense of Margaret's coronation, nonetheless made certain that his young bride was appropriately decked out in jewels. Before the wedding, he had ordered that "the Queene most necessaryly have for the Solempnitee of hir Coronation . . . a Pusan of Golde, called Ilkyngton Coler, Garnished with iv Rubees, iv greet Sapphurs, xxxii greet Perles, and liii other Perles. And also a Pectoral of Golde Garnished with Rubees, Perles, and Diamonds, and also with a greet Owche Garnished with Diamondes, Rubees, and Perles, sometyme bought of a Marchant of Couleyn for the Price of Two Thousand Marc." A pusan was an ornamental collar, according to Sherman M. Kuhn's Middle English Dictionary. According to Harold Clifford Smith in Jewellery, a pectoral was a species of brooch worn in the middle of the breast. An owche, otherwise known as an ouch or a nouch, was yet another type of brooch. At what point in the ceremonies Margaret got to wear these fine jewels is unrecorded. Margaret's coronation was attended by five minstrels of her father, Rene of Anjou (identified by his illusory title of "King of Sicily") and by two minstrels of the Duke of Milan, who were there to witness the ceremony and report back to their respective employers. 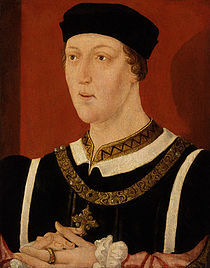 In 1444, Henry VI had given a safe-conduct for eighteen Scotsmen to come to see the coronation, "provided, always, that they conduct themselves well and honestly towards the King and his People." As there is no record of Margaret's coronation being disrupted by Scotsmen running amok, presumably they behaved themselves. Margaret would process again through the streets of London, in 1471: that time, however, she was paraded not as a queen, but as Edward IV’s prisoner, a trophy of war. What happened between May 30, 1445, perhaps the grandest day of Margaret’s life, and May 21, 1471, perhaps the most humiliating, is the story of The Queen of Last Hopes. Award-winning author Susan Higginbotham will once again have readers questioning what they know about right and wrong, motivations and morals, as they come to feel compassion and hope for Margaret, Last Red Rose of England, in The Queen of Last Hopes: The Story of Margaret of Anjou. Margaret of Anjou, Queen of England, cannot give up on her husband—even when he goes insane. And as mother to the House of Lancaster’s last hope, she cannot give up on her son—even when all of England turns against them. This gripping tale of a queen is at its heart a tender tale of love: passionate, for her husband, and motherly, for her only son. It would be called the Wars of the Roses, but it all began with one woman’s fury. Susan Higginbotham is the author of three historical fiction novels. 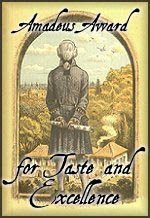 The Traitor’s Wife, her first novel, is the winner of ForeWord Magazine’s 2005 Silver Award for historical fiction and is a 2008 Independent Publisher Book Awards Gold Medalist in Historical/Military Fiction. Higginbotham has worked as an editor and an attorney, and lives in North Carolina with her family. For more information, please visit her website, http://www.susanhigginbotham.com and her blog, http://susandhigginbotham. blogspot.com/. I hung on every word of this post. Absolutely fascinating. I'm utterly engrossed. I have to agree with Beth, I was totally engrossed in this post! I love to find out exactly what happened at these events and just wonder what it must have been like for these young woman, who were chosen to make PEACE between two countries. How utterly terrifying and exhilarating it must have been!!!!! The Queen of Last Hopes sounds fascinating! I wish you the best of luck! I also wondered what it must have been like for these women of peace. How many snide, rude comments were made just within their hearing? How were they really treated by people who lost family members or entire fortunes by the wars that consumed their countries. Was it really easy for them to accept her as their queen? How hard was it for them to leave their homes? Everything they knew and loved to go to a country and king that had previously been their enemies. Wonderful post, Susan. That's what I love about history, the very real human component of what people's lives were like hundreds of years ago. Your ending of the post has me totally intrigued and wanting to read your book. As a lover of English history, I found this post most enjoyable. Susan, from the amount detail included in this post, it is obvious that you spent a lot of researching Margaret of Anjou. A very interesting read, indeed. Your post was very interesting. I live in Titchfield, where Margaret of Anjou was married at the Abbey. I wonder if you know why she was married there of all places? Why not London? I would love to know details of the wedding but none seem to exist. Thanks. Collette. Why did she get married at Titchfield?